If you are planning to move to Santa Monica, you’re in for a real treat. Santa Monica is home to approximately 94,000 people and is a wonderful place to live with some great schools, a vibrant culture, and many activities. We are proud to offer you a moving service that’s quite unlike any other. We pride ourselves on being the best Santa Monica movers out there thanks to the way we work and the trust our customers have in us. A local moving service – If you’re already living in Santa Monica or you’re living in a city close by, we can help you. We can offer you a high-quality relocation service ensuring it is as smooth and stress-free as possible. A long distance service – Whether you live elsewhere in California or you’re moving out of the state, we can help. Storage services – We know you may not be ready to take everything with you to your new house or apartment. This is why we are happy to offer a storage service. You can store your belongings with us in our secure storage area until you’re ready for them. Office relocation – We offer an office relocation service that is second to none. No matter why you’re moving to a new office, we can help. We will move all of your equipment and deliver it quickly and safely so you can continue with business as soon as possible. Moving and packing – We know how much work goes into a move, and this is why we are more than happy to offer you a service which includes packing up all your belongings. We supply the packing materials so you don’t have to worry, and we will pack everything with care. This means you can sit back and relax while we do all the hard work. Piano moving – We are proud to be careful piano movers who will transport your prized possession safely. We have moved many pianos in the past and we’re pleased to tell you that we have not damaged one! Cleaning services – In addition to our moving services, we also offer a cleaning service. If you would like the home you’re about to leave to be as clean as possible, we can help. We can clean every room or just a few rooms, the choice is yours. We are a moving company in Santa Monica that is proud to offer more than many others, and we think you’ll enjoy working with us too. When moving day finally arrives, we know you’ll want everything to go according to plan. The movers will arrive on time and they will bring the necessary tools. We know that it takes more than just a few people lifting boxes to make a move successful, this is why all of our movers bring a hand truck with them, some plastic wrap, and they’ll be happy to disassemble furniture, take it around awkward corners and do the necessary work to get the job done…and they will do this with a smile. Once our truck or trucks are loaded our professional movers will take your belongings to your new home and we’ll unpack them with care. Every member of our team is highly trained so they know exactly what to do and when. They care about you and your house move and want it to go according to your plan. When you’re in the hands of the professionals you can be sure that your move will be the most stress-free one yet, so let us do the hard work while you get on with enjoying your new home. We like to think we are the friendliest and most helpful Santa Monica moving company around. You’ll find that nothing is too much trouble for us, and we will do our very best to make sure your relocation goes exactly according to plan. What Santa Monica has to offer to its new citizens? Santa Monica is a wonderful place to live, in fact, it’s considered to be one of the best places to live in Southern California. With a relaxed lifestyle, the area is home to farmer’s markets, a beautiful beach, a public library, and a 3.5 mile long beach. 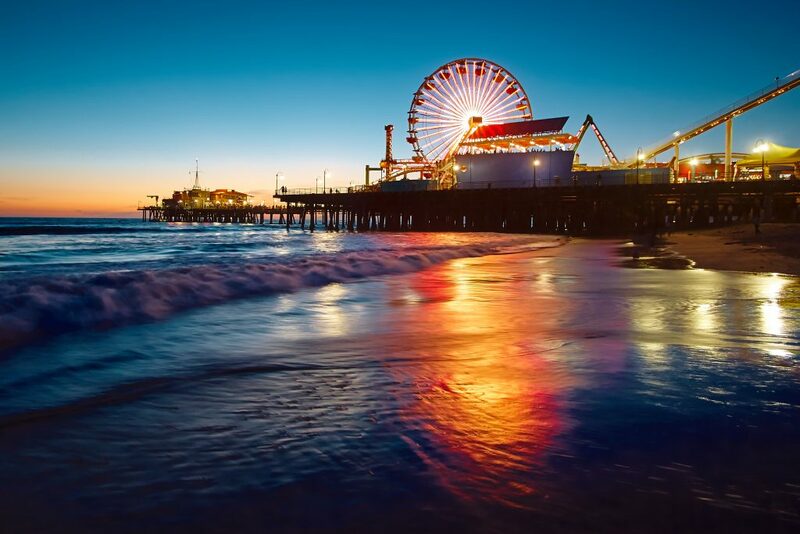 Home to approximately 94,000 people, Santa Monica has a good climate. Temperatures in August are as high as 95 Fahrenheit, and in January the average low temperature is 50.9 Fahrenheit, making it a great place to live. Ask us about our moving services in Santa Monica and let us help you make your best move yet. Montana Avenue – Montana Avenue is full of stylish homes and is the ideal place to live if you love upmarket stores and restaurants. The area is home to many young families and singletons and is ideal for a growing family. Ocean Park – This neighborhood is very close to the beach so it’s ideal if you’re a lover of the sand and sea. The area tends to be very laid back and friendly. Mid-city – This area is very urbanized and ideal for those who want to be in the heart of the city. It’s the ideal place to live if you don’t mind the hustle and bustle of the city. Wilshire Montana – This neighborhood is ideal for anyone who loves fitness clubs, yoga studios and the salty sea air. Full of young people and families, the area is relatively safe to live in and seems to be growing in popularity. If you’re still thinking of making a move to Santa Monica, you’ll be pleased to know there’s a lot to do in this part of the world. Santa Monica State Beach is a beautiful sandy beach that is popular with locals and tourists alike. 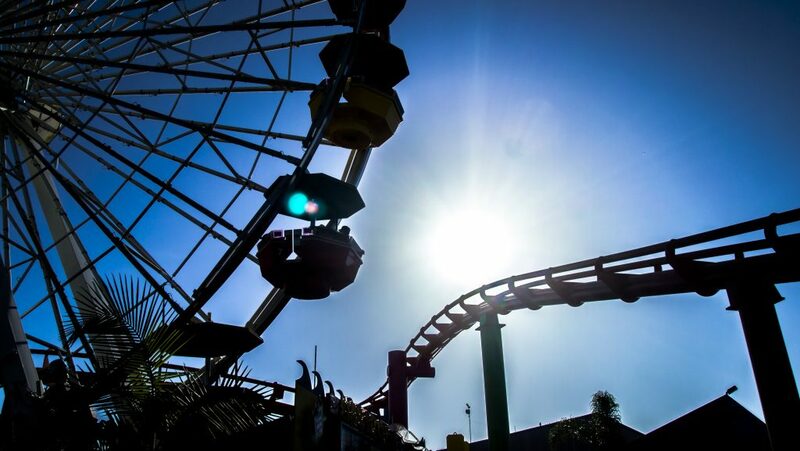 The pier is also a great place to visit thanks to its many attractions. If you’re looking to enjoy a bit of nature you’ll be pleased to know the area is home to many parks.